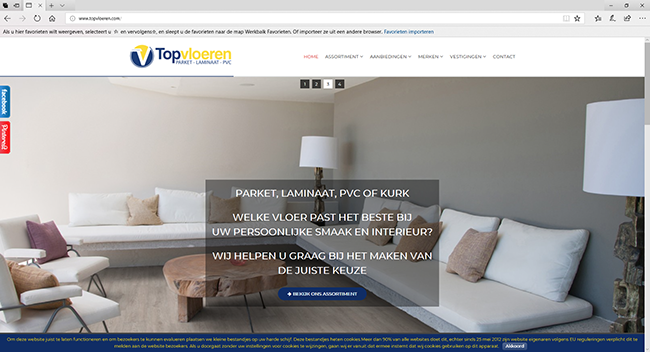 Topvloeren is a young, dynamic and innovative company specializing in the supply and installation of parquet, laminate and PVC floors. We offer you a large range of floors that fully match your personal taste and preferences. Our employees have years of experience and will gladly share their passion for flooring with you. Top floors has now spread six branches through Central Netherlands. So there is always a branch in your area. We would like to invite you to inform you about too many possibilities that we can offer you.